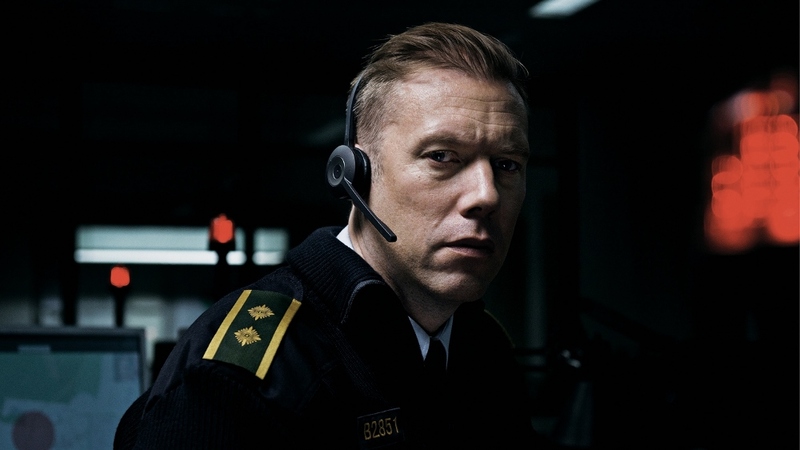 Swedish director Gustav Möller’s feature debut The Guilty is a tightly constructed minimalist thriller that takes place in real time, in the two adjoining rooms of a police dispatcher’s office on one suspenseful night. 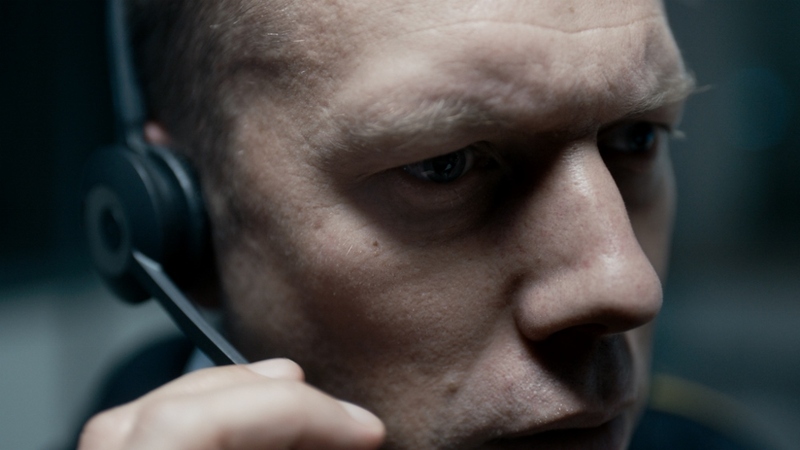 Asger (Jakob Cedergren) is a police dispatcher taking emergency calls at his desk. He responds with a measured competency and a degree of cold rigidity, perhaps verging on bitterness, to the various callers, even telling one drug addict in need: “I understand, but it’s your own fault.” Then one phone call changes everything. A woman’s voice comes on the line, saying “Hi sweetie.” She sounds drunk, or at best confused, but Asger soon realizes that there is much more going on, and engages Iben (voiced by Jessica Dinnage) in conversation. As in Greek tragedy, the action takes place elsewhere, and the viewer receives all the information from Asger’s conversations on the phone and with his fellow dispatchers. Cedergren delivers an outstanding performance as Asger. At first rather muted, he slowly reveals the complex layers of the character as events unfold. There is no action onscreen in the conventional sense, and Cedergren relies on his voice and nuances of expression to convey Asger’s inner world and feelings. There’s an intentionally claustrophobic feel as the camera comes in for long, extreme close-ups on Asger’s face. The viewer knows only as much as Asger knows, receiving information from each fragment of conversation, and each new piece of information alters the big picture. The more we know, the more complicated the moral and emotional terrain of the film. Watching the film is a nail-biting, nerve wracking experience, even though all one sees is a man talking on the phone. It’s quite a feat. There are of course, twists and surprises along the way, but no spoilers here. Watching the film is like working a multi-piece puzzle, by the time you approach the end, you realize that the blue piece you thought might be part of the sky, is something else altogether. Director: Gustav Möller; Screenplay: Möller, Emil Nygaard Albertsen; Cinematography: Jasper J. Spanning; Editor: Carla Luffe; Music: Carl Coleman, Caspar Hesselager; Cast: Jakob Cedergren, Jessica Dinnage, Johan Olsen, Omar Shargawi, Katinka Evers-Jahnsen, Jakob Ulrik Lohmann, Jeanette Lindbaek.